Insulation provides resistance to heat loss that naturally occurs when warm air flows to a cooler space. Radiant heat insulation lowers heat loss in a radiant heating system. Heat flow resistance is measured by R-value. The higher the R-value, the less heat lost, and the better the insulation. Better insulation translates to lower heating costs. Utilizing high quality insulation will dramatically improve the performance of a radiant heating system. 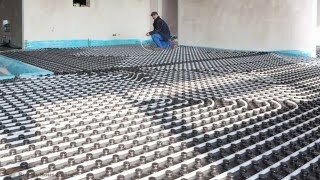 There are several types of radiant heat insulation specifically designed for installation beneath concrete. 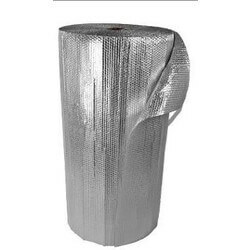 Concrete barrier foil contains a radiant barrier aluminum foil which is sandwiched between two layers of polyethylene bubbles. It has an R-value of 3.8 and is not affected by moisture or humidity. It prevents the growth of fungus and bacteria, and keeps rodents from entering. Northwestern Ohio Foam Packaging (NOFP) is a custom foam fabricating company that specializes in the design and manufacturing of foam insulation products. NOFP provides a simple, labor saving option for all under-slab, under concrete and radiant floor insulation projects. NOFP barrier insulation is constructed of extruded polystyrene with a heavy duty 3 mil thick poly film laminated on both sides. Polystyrene is a colorless, transparent thermoplastic commonly used in concrete and foam insulation. The NOFP barrier insulation has an R-value of 4 and provides a barrier against moisture. 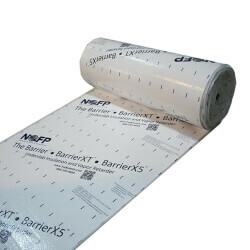 NOFP BarrierX5 insulation is similar to NOFP barrier insulation but is 1-1/4" thick. It is constructed of the same materials as NOFP barrier insulation, but has an R-value range of 5 to 10.5 because of its additional thickness. The achieved R-value is determined by the installation method used with the Barrier X5. NOFP BarrierXT insulation is an EPS foam underslab insulation and vapor retarder, designed to insulate radiant heating projects from heat loss and retard moisture migration through concrete. 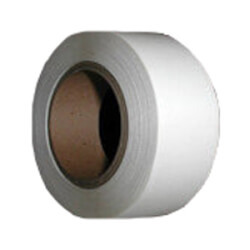 The unique core has vapor retarding films bonded to both sides as well as a patented self-taping edge and overlapping flange to make the entire installation seam-free. NOFP Solex Reflective Radiant Insulation & Vapor Barriers are engineered to increase energy efficiency, provide a clean finished appearance, and simplify installation for all residential, post frame, light-gauge steel, and commercial insulation applications. The core of SolexLT is 1/8" thick while Solex comes standard at 1/4" providing additional insulation value and durability.